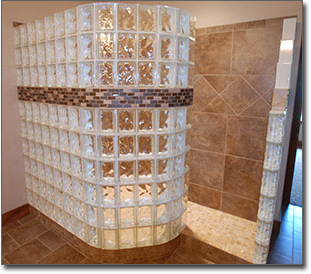 A glass block shower is the ultimate statement of your taste and creativity. 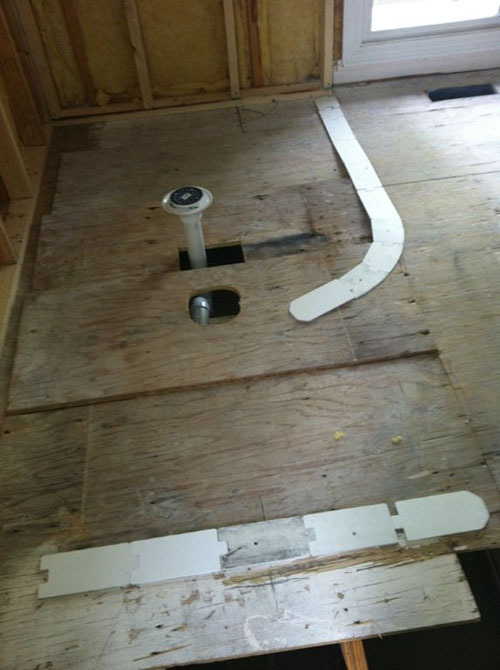 Only a door-less shower allows you the versatility of walls that curve, serpentine and stair step. 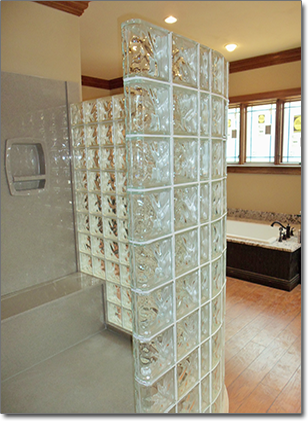 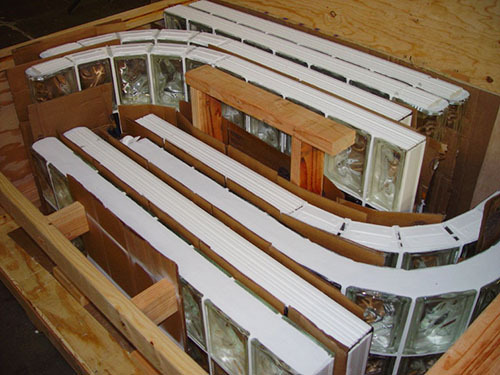 Only the masons at Masonry & Glass Systems can provide the craftsmanship it takes to provide door-less glass block showers. 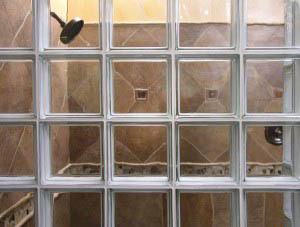 We can design your shower for you OR put your ideas together on our 3D computer design software. 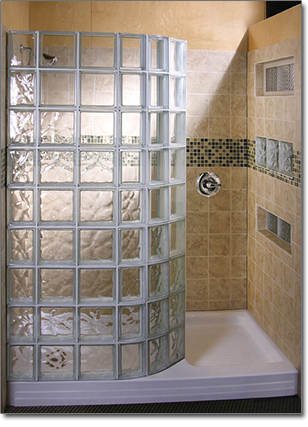 Your shower will be nothing short of stunning. 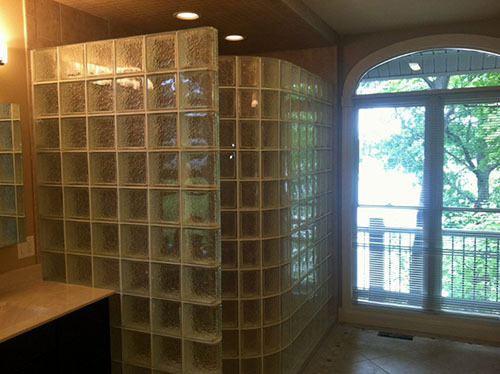 Glass block shower on a crate ready to be shipped! 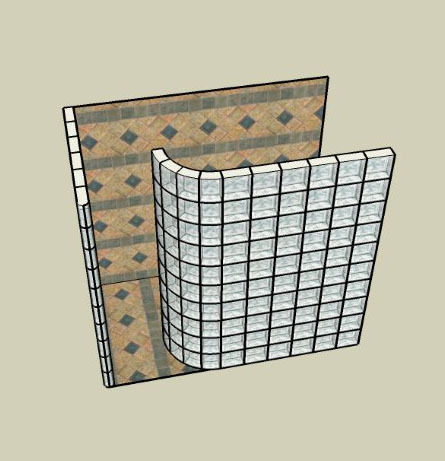 2018 Masonry & Glass Systems Inc. All rights reserved.